There are some people who were born to become musicians. They either have the voice for it or just the skill needed in order to play beautiful, transcendent music. However, there are also those who train to become musicians. Whichever the case, musicians are an integral part of society. Thanks to the music that they create, people are able to feel more, relax better, and relate to one another. One of the musicians back in the day that had an impact on another musician to the point that a piece of music was dedicated to him was none other than Rodolphe Kreutzer. 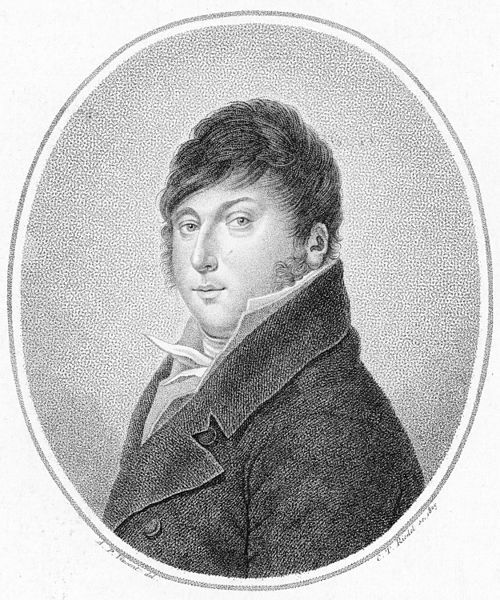 Born on the 15th of November in the year 1766, Rodolphe Kreutzer was a violinist from France. Aside from being a talented musician, he was also a teacher and a conductor. He also composed 40 French operas during his lifetime. One of these operas was entitled “La mort d'Abel,” which was produced in the year 1810. While he was a talented musician, he was probably most well-known as the person that Beethoven dedicated a sonata to. This sonata was the Violin Sonata No. 9, O.47, produced in the year 1803. Even though he was the dedicatee of this work, Kreutzer never actually played this sonata in his life. It was in the year 1798 when Kreutzer first met Beethoven in Vienna. It was during the service of Jean-Baptiste Bernadotte, who was the French ambassador at the time. This man became the King of Sweden and Norway later on in life. The sonata mentioned above was initially dedicated to another violinist by the name of George Bridgetower as its first play. However, the Bridgetower and Beethoven got into a fight, which led the latter to change the dedication to Kreutzer. Born in Versailles, Kreutzer was first introduced to music at a young age by his German father. Being a musician in the royal chapel, his father wanted him to learn and appreciate the beauty of music. Later on, Kreutzer also had lessons about music from Anton Stamitz. Eventually, Kreutzer became among the most well-known violinists during his time. He played as a soloist until the year 1810. He also served as a violin teacher at the Conservatoire de Paris. His teaching experience in this school began at the school’s foundation in the year 1795 and ended in the year 1826. Together with fellows Pierre Rode and Pierre Baillot, Kreutzer created the violin method of the school. These three musicians were recognized as the trio that founded violin playing in the said institution. Kreutzer also became the leader of the Paris Opera for a certain period of time. He was also able to conduct in the opera beginning in the year 1817. Kreutzer passed away on the 6th of January in the year 1831 in Geneva. His remains were buried in Père Lachaise Cemetery located in Paris. What remained of him were his musical performances as well as his style. He had his own style of bowing and his tone was just splendid. His compositions feature not just 40 operas but also 19 violin concertos. His most famous works are the 42 Études or Capriccios. The famous sonata dedicated to Kreutzer was the Violin Sonata No. 9, Opus 47. 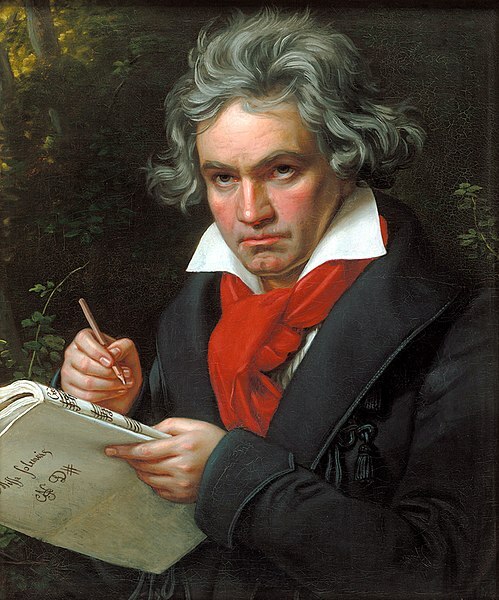 It was composed by Ludwig van Beethoven for piano and violin. This sonata is well-known for its technical difficulty and emotional scope. In addition, the sonata is also around 40 minutes in total, which is unusually long. 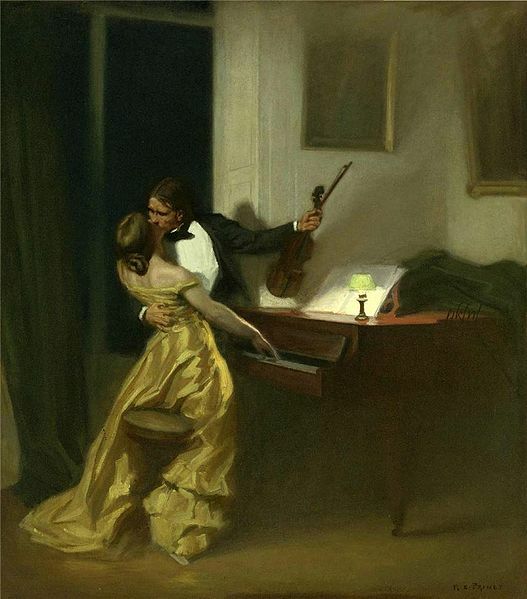 It is often called the Kreutzer Sonata because of its dedication to the well-known violinist. However, Kreutzer did not particularly like the piece and never played it when he was alive. The sonata had the title of “Sonata per il Pianoforte ed uno violino obligato in uno stile molto concertante come d’un concerto” when it was written in the sketchbook of the composer back in the year 1803. The final movement of the piece was initially composed for another sonata made prior to this one. The said sonata was the Op. 30, no.1 in A major for violin, as composed by Beethoven. No key designation was given to this piece by Beethoven. Usually, the sonata is titled being in A-major. However, Gerhard Präsent, a composer as well as a music theoretician from Austria, has published several articles stating that the main key of the sonata is actually A-minor. He also established certain connections between this sonata and the 6th Violin Sonata Op. 30/1. The sonata was initially in dedication to another violinist by the name of George Bridgetower. Just after the sonata was composed, it was immediately premiered by both Beethoven and Bridgetower on the 24th of May in the year 1803. The premiere was held at the Augarten Theatre during a concert that began at 8 AM, which was unusually early. The sonata was never been seen by Bridgetower prior to this premiere so he was only able to sight-read the sonata. Following the premiere performance of both musical artists, they got into a huge fight. Apparently, Bridgetower threw insults regarding the morals of a certain woman who was important to Beethoven. This happened while the two supposed friends were drinking. Out of rage, Beethoven immediately changed the dedication of the piece from Bridgetower to Kreutzer, who was recognized as the best violinist at the time. The sonata is composed of three movements. As a whole, it takes around 43 minutes to perform. The first movement is the Adagio sostenuto – Presto in sonata form in A major – A minor, which takes about 15 minutes to play. The second movement is the Andante con variazioni in variation form. It is in F major with the third variation in F minor. This movement takes about 18 minutes long to perform. 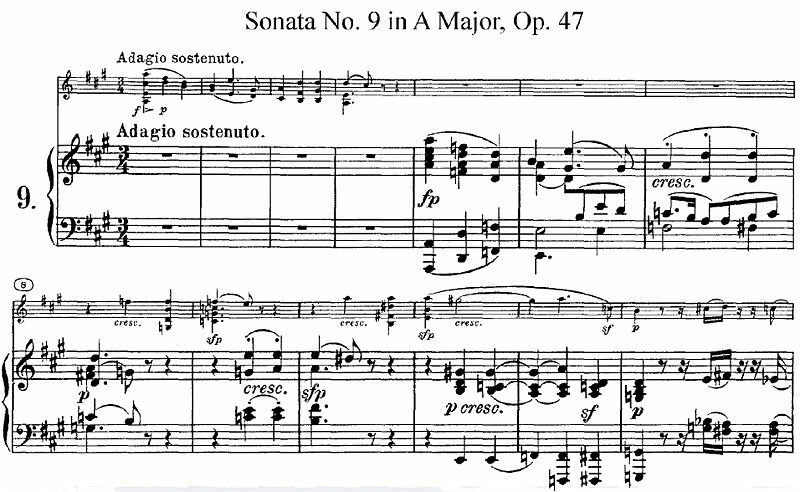 The last movement is the Presto in sonata form in A major, which takes about 10 minutes to perform. Due to the success of the premiere performance of this piece, the sonata was eventually published as Beethoven’s Op. 47 in the year 1805. The new dedication was already made during this publication. Due to its dedication, the composition was given the nickname “Kreutzer Sonata.” However, it was never performed by Kreutzer, as the man did not exactly care for any pieces of work by Beethoven. Another piece called the “Kreutzer Sonata” is the String Quartet No. 1 by Leoš Janáček. The piece was written from the 13th to the 28th of October in the year 1923. It went under revision from the 30th of October to the 7th of November in the year 1923 by the composed in the autograph. The inspiration behind the piece was the novella entitled “The Kreutzer Sonata” written by Leo Tolstoy. This literary work was, of course, inspired by the actual sonata itself composed by Beethoven in dedication to Kretzer. The Quartet was premiered on the 17th of October in the year 1924 where it was performed by the Czech Quartet. The performance was held at a concert of the Spolek pro moderní hudbu, which translates to “Contemporary Music Society.” The concert took place at the Mozarteum located in Prague. Later on, the publication of the pocket score of the piece was also done by Hudební matice in April of the year 1925. The sonata composed by Beethoven inspired author Leo Tolstoy to write a novella entitled “The Kreutzer Sonata.” Published in the year 1889, the Russian authorities immediately censored this literary work immediately after its publication. The novella revolves around the main character named Pozdnyshev who killed his wife. In the novella, he tells the story of how various events led him to commit the heinous crime. He happened to overhear a conversation governing around love, marriage, and divorce while on a train ride. A woman argued that marriage should occur based on true love and should not be arranged. However, Pozdnyshev stated that love often passes quickly. While society dictates that married couple should stay together, Pozdnyshev stated that love can actually turn into hate. He provided his experiences that related to the conversation at hand. He mentioned that women use their looks in order to arouse men. As a result, men begin to view women only as objects that fulfill their desires, which would stop women from actually being seen as real people who deserve gender equality. However, at the same time, this situation also puts women in power over men because of how much they can sway men through their charms. When he met and married his wife, he was overjoyed and filled with passionate love in the beginning. However, as time went on, the relationship became dull and the couple began to have vicious fights. As a result, his wife turns to another man named Troukhatchevsky, a violinist. Together, his wife and Troukhatchevsky perform the Kreutzer Sonata by Beethoven. Despite being jealous of his wife’s closeness to the violinist, he left to go on a trip. He decided to return early only to find his wife having an affair with the said violinist. In a fit of rage, he used a dagger and killed his wife. The other man was able to escape from the hands of Pozdnyshev. Due to his wife’s adultery, Pozdnyshev was acquitted of murder. After which, he decided to ride in trains to seek forgiveness from its passengers. The story revolves around a rich middle-aged man who goes by the name of Edgar. He is known to be charming as well as sensual. He meets an attractive woman at a party who goes by the name of Abby. Abby is a beautiful woman as well as a talented classical pianist. At the time, she was already in a relationship with someone else. The two characters became attracted to each other and had an affair. Years later, the two got married. However, Abby had to give up her career in order for them to start a family and have children. This led to Abby being discontented with her life. Edgar wanted to appease his wife. He decided to host a benefit concert through the use of his private charitable foundation. His wife is to play the Kreutzer Sonata composed by Beethoven during the concert to a private audience. However, in order to play this piece beautifully, she has to practice with Aiden, a violinist who also happens to be very attractive. Edgar becomes jealous of Aiden even though Abby has not done anything for him to be jealous of. He began to distrust Abby, considering that she had once cheated on her former boyfriend with Edgar before. He began to think of scenarios that just fuelled his fanatical jealousy. This leads to Edgar spiraling downward because of his poisoned mine. Truly, the Kreutzer Sonata is a piece unlike any other. Yes, it is quite challenging to perform but if performed well, the music it makes is just splendid to the ears. It has inspired famous author Leo Tolstoy to write a novella based on the piece itself. Furthermore, a film was even made to surround the beauty of the sonata and how it engages people in its music. This just goes to show the power of this wonderful piece. Even though Kreutzer himself refused to even play the sonata himself, so many others until today are inspired by it and wish to play it splendidly to stimulate and engage other people with music. At the end of the day, that is what matters most when it comes to playing music.